Recently I was personally contacted by a Facebook colleague asking me if I would be interested in obtaining a Solenopsis invicta colony. Knowing this person lives in the north I immediately declined the offer and insisted that as Ant Keepers we are responsible for ensuring that our native habitats stay free of non-native species. Although I currently reside in Ohio, I lived in Southern, GA for almost 5 years. I can personally attest at how aggressive and fast spreading this species can be. To be fair – It’s very unlikely the Red Imported Fire Ant’s could successfully live through winters in the north, it is certainly possible for an indoor colony to have a nuptial flight and infest other local areas. One of the reasons hobbyist enjoy keeping RIFA is the fact that they have incredibly fast colony growth and massive colony sizes. Colonies can grow to over 2 million individuals and from nuptial flight to adult worker ant it can be as fast as 30 days. First nanitics show only 10 days after the nuptial flight. The picture map indicates regions in the U.S. that have identified a local presence of RIFA. You can see that the area is quite large and has expanded year after year. The Red Imported Fire Ant, Selonopsis invicta has spread in the entire southeastern United States and has been slowly making its way further north, affecting some areas of Virginia. If you are a hobbyist I strongly suggest against keeping Solenopsis invicta in any of the northern states, including Ohio. If you have any intent on keeping invasive species you should take the proper precautions. Your ant enclosure should be completely sealed and you MUST have a secondary containment system. This is a requirement from the USDA and inspection may happen at any time if you legally obtained a permit. Just because a species may not over winter, there is chance they could affect other areas that stay warmer throughout the winter, such as Zoo’s, greenhouses, and power plants. You need to think about the chance of cross breeding with similar species. The S. invicta x S. richteri hybrid currently inhabits some of the areas where S. richteri was displaced by RIFAs (Georgia, Tennessee). The USDA specifically limit the transport of colonies across state lines to prevent invasive species from gaining a foothold in an environment without natural predators. If you are looking at importing nonnative species for scientific or hobby reasons you may apply for a free permit the USDA, a PPQ 526. I applied for a permit to import Myrmecocystus mexicanus exactly 3 months ago as f this writing and it is still pending. 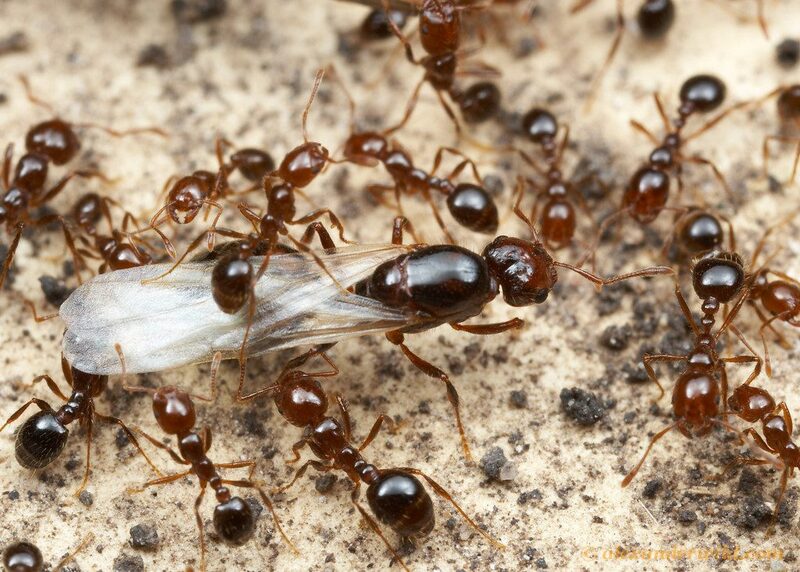 We all need to be responsible ant-keepers and should take very precaution to protect our environments and our hobby. There are plenty of native ants in your area to keep you entertained, and most ants in Ohio, don’t bite :).